Erie City Councilman Bob Merski epitomizes the best of Erie. 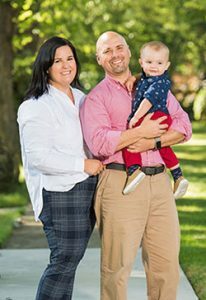 As one of the youngest individuals ever elected to Erie City Council, Bob never refers to himself as a politician – he instead prefers to think of himself as a public servant, working for the people of Erie. This approach he learned from his father, former Erie County Sheriff Robert Merski. Bob’s father serves as a true inspiration to his civic engagement and helped guide his approach to community leadership since Bob’s first campaign for Erie City Council. Bob has stated numerous times that he met so many people his father had helped that Bob never knew about. It was Sheriff Merski’s quiet humility and true commitment to simply serve in the best way possible that Bob strives to emulate as your Councilman. Born and raised, now raising a family of his own with his wife Emily here in the City; Erie is more to than just a place to Bob, it’s who he is. A Cathedral Preparatory alumnus, Bob chose to attend college locally; enrolling in Mercyhurst’s rigorous Cadet Teacher Program and earning his degree in Elementary Education in 1999. Since earning his teaching degree, Bob has taught in the Erie City School District for the past fifteen years. Beginning at Wayne Elementary School, Bob taught special education to second and fifth-grade students, he then spent three years at East High School both in special education and as an English/History teacher and currently, he is teaching online special education at Central Tech High School. Before finding a home in the Erie City Schools, Bob began his teaching career at his own grade school, Holy Family School and then taught theology at Cathedral Prep. Seeking to broaden his experience, Bob moved to Brooklyn, New York for one year and taught elementary school in inner-city Brooklyn before returning to his hometown. In addition to working full-time as a teacher, Bob has demonstrated his passionate beliefs of fair and equal working conditions for working for middle-class families across Erie. Putting those values into action, Bob fought for those workers’ rights as the former Vice-President of the Erie Education Association (EEA) and the Northwestern Region of the Pennsylvania State Education Association (PSEA). Currently, Bob teaches Advanced Placement World & European History at Northwest Collegiate Academy. As a community leader, Bob co-founded the South East Hills Neighborhood Watch in 2007 and established the South East Erie Farmers Market in 2009. Bob serves on the boards of the Erie Arts Opportunity Local Education Fund, the Economics Pennsylvania Advisory Board, and the St. Vincent Health Center Foundation. He also serves as the co-chair of the Young Erie Professionals Civic Engagement Committee. In addition to his civic engagement, Bob lives his life seeking to improve his community and giving back to those less fortunate than he. This commitment began as a child volunteering at Holy Family Church Lenten fish frys, Bingo Nights, and his particular favorite, the Zabawa Polish Festival. Bob has also coached basketball and soccer at Holy Family School in Erie and basketball at Wayne School and continues to serve his church as an usher at Sunday mass, along with teaching confirmation classes.